architecture, breathtaking natural vistas and heart-pounding encounters with wildlife. Before you go, take a minute to read our post below to learn about the ancient history of natural settings and how our park system came to be. Also, if you want a truly memorable experience, check out this article in The New York Times on how to get the most out of your national park visit. 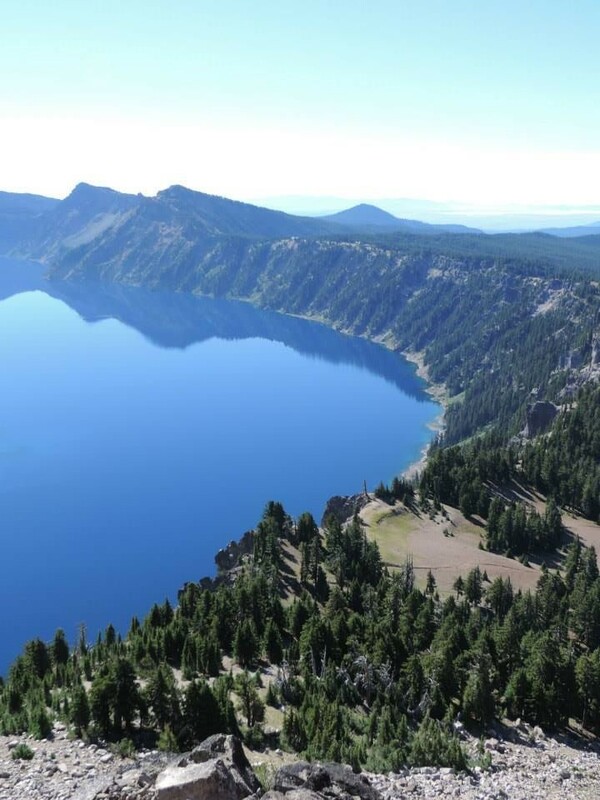 When you first enter Crater Lake National Park, it’s easy to imagine you’ve stepped thousands of years into the past. Crater Lake in Oregon was created when Mount Mazama erupted close to 8,000 years ago, and ignoring the RVs visiting the park today, it’s easy to imagine it has not changed much from what it must have looked like after the ash settled. The United States National Park System celebrated its 98th birthday last month. These glorious parks are great places to peek into what America must have looked like thousands of years ago. With their stunning vistas and bracing fresh air, they provide a quiet place for people to get in touch with nature, enjoy outdoor activities and relax. But while a park system close to 100 years old might seem to have a lot of history, public outdoor places date back a lot longer than that. Ancient Rome had many famous gardens and public spaces, and their influence stretched to Africa, the Middle East, Britain and even to modern gardens in America. While it was commonplace for rich Romans to have private gardens, there were a number of green communal spaces throughout the city. Many public locations such as temples, bathhouses, theaters and tombs had gardens as a main feature. Excavations conducted in Pompeii show commercial flower gardens, vineyards and orchards in the center of city life. Gardens and public green spaces weren’t just customary in ancient Europe. When conquistadors reached South America, they found societies with elaborate temples and palaces adorned with gold, paved roads and extensive gardens. Likewise, ancient Egyptian temples, like the Roman ones, also featured green garden areas. The gods were thought to enjoy gardens so it only seemed natural to have gardens in places of worship. We know that many gardens housed multiple kinds of trees, flowers and the important papyrus plant from which scrolls were made from. Throughout the ancient world, public spaces were appreciated as sites of beauty and restoration for everyone to enjoy. Indeed, the ancient world’s gardens and green spaces were integral parts of society. They were thought to be important to the gods, provided places for people to socialize, conduct business and carry on cultural events, and were crucial parts of agriculture. Today, creating gardens in public spaces is an important element of urban planning, and leafy and flowery displays are commonly featured in atria, hotels and malls. Bringing the calming beauty of nature to our frenetic lifestyles seems a part of the human experience from ancient times. But there’s more to the salubrious benefits of nature than we may think. In a widely referenced study conducted by the University of Essex In 2007, outdoor walking was shown to result in a decrease in depression in 71 percent of participants. As well, as little as five minutes walking in a natural setting boosted mood, self-esteem and motivation. Since then, numerous studies have also found evidence of the benefits of natural surroundings. Ecotherapy is a field of study looking at the healing and psychological benefits of interacting with nature. It is promoted as improving outcomes for individuals in a growing number of areas such as obesity, mood disorders, hypertension and diabetes. In 2013, the Wildlife Trusts in Great Britain, founded in 1912 and comprising 47 different trusts, called for a recognition of the benefits of ecotherapy for mental health problems and overall well-being. As in ancient times, the public parks in the United States are a part of its legacy and are vital for a whole host of reasons. National Parks in America conserve wildlife, stimulate the economy and give people a place to enjoy nature and outdoor activities in the midst of breathtaking natural beauty. Next time you visit a National Park and walk its well-worn trails, try to imagine what it must have been like thousands of years ago. Remember you’re part of a long tradition of people appreciating public, natural areas. And benefitting from its amazing powers. Here’s to your health! Enjoy the slideshow below celebrating ancient gardens and parks as well as national parks around the world with ancient elements. *Contributing Author: Susan Torres is a writing and marketing professional in the nonprofit world. 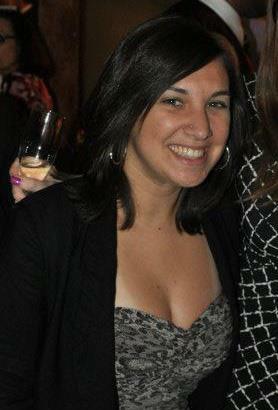 She loves all things relating to the environment, history, traveling, and New York City. She spends too much money on grilled cheese. Lecia, B. (n.d.). Benefits Of Ecotherapy: Being In Nature Fights Depression, Improves Mental Health. Retrieved September 9, 2014. Feel better outside, Feel better inside. (n.d.). Retrieved September 9, 2014. Bowe, P. (2004). Gardens of the Roman world. Los Angeles: J. Paul Getty Museum. Costello, V. (2007). Public spaces for recreation in Dublin, 1660 – 1760. Dunn, J. (n.d.). The Gardens and Ponds of Ancient Egypt. Retrieved September 8, 2014. MacDougall, Elisabeth B., and Wilhelmina F. Jashemski. Ancient Roman Gardens. Washington, D.C.: Dumbarton Oaks Trustees for Harvard U, 1981. Print. New research shows benefits of ecotherapy for mental health and wellbeing. (n.d.). Retrieved September 9, 2014. Stephens, A. (n.d.). 14 Billion Reasons to Support the National Park Service. Retrieved September 8, 2014. Weintraub, K. (n.d.). Doctors ordering kids to get outside – The Boston Globe. (n.d.). Retrieved September 8, 2014. This entry was posted in Architecture, Blog, Culture, Public Life, Recreation and tagged Ancient Egypt, ancient gardens, Ancient Greece, ancient history, ancient rock carvings, Ancient Rome, AntiquityNOW, National Park Service. Bookmark the permalink.